Japanese researchers discovered that maitake could be used for weight loss. Maitake can help boost the immune system by increasing the activity of T-cells which fight disease causing organisms. Maitake helps treat and prevent hepatitis B and other liver disease. Maitake is a rich source of vitamin D which is important for disease prevention including uterine fibroids. Research has shown that maitake can help fight against cancer (by reducing the spread of metastatic cancers) and it can also help make cancer treatment (chemotherapy) more successful. With all these benefits of maitake against various diseases and conditions especially cancer, you can see why there was research into whether this mushroom can positively impact those with uterine fibroids. 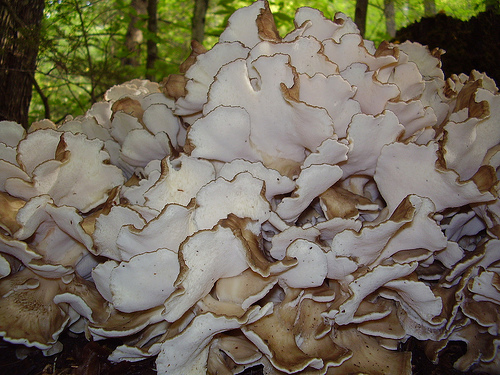 Research was performed using maitake d-fraction which is a very potent extraction from maitake. The healing properties in maitake are concentrated to create maitake d fraction which was not only used during fibroid research studies but also during cancer research studies. In research studies performed using maitake d-fraction, it was discovered that this natural remedy was one of the best ways on how to shrink uterine fibroids naturally without surgery. It was discovered that it was able to shrink small subserous and intramural fibroids because of its anti-tumor activity which was identified during cancer research. While most fibroids are benign (non-cancerous), the cell division noted with fibroids is the same as that associated with cancer which is why the anti-tumor activity is not only noted with cancer but also with fibroid tumors because maitake mushrooms inhibit cell division. As far as large fibroid tumors are concerned, maitake d-fraction was not so effective which is why you shouldn’t wait before seeking treatment for fibroids because it is much easier to treat smaller tumors than large tumors. Another benefit of maitake d-fraction is that it contains vitamin d as mentioned previously and as discussed here vitamin D is one of the most important vitamins for not only treating and preventing fibroids but many other diseases as well. The recommended dosage for using maitake varies but you can start with a dosage of 3 to 7 grams of maitake d-fraction in tablets, capsules or mixed with food. Research has shown that taking maitake d-fraction orally is just as effective as using an injection. You can also purchase the actual dried maitake in many stores besides Asian and gourmet food stores and use this in your food. No adverse side effects have been noted from eating maitake mushrooms. If you are a mushroom hunter, make sure that it is maitake you are picking because there are many poisonous mushrooms. This is just a bit of information on how to shrink uterine fibroids naturally without surgery using maitake or more specifically, the extract maitake d-fraction. For complete guidance and step by step instruction on using various effective natural remedies to cure and prevent fibroids, click here. Prev Discover How Serrapeptase Enzyme Works Wonders In Shrinking Uterine Fibroids!